Barcelona makes more in a year through sponsorship deals than any other club in the world, according to Forbes’ latest study. The La Liga champions are currently making $247 million per season through sponsors, which is $45m more than second-placed Manchester United and $47m more than third-placed Real Madrid. Of the top three, Barca is the only club whose sponsorship deals have increased during the last year. Barca’s income from sponsorship is up by $15m, while United and Madrid have seen a drop of $12m and $16m respectively. It’s a remarkable turnaround for Barca and a clear change of strategy, given they have only sold the space on the front of their shirt to the highest bidder for the last eight years. In 2010, the Qatar Foundation replaced Unicef — Barca had worn the non-profit on the front of their shirt since 2006 — as the Catalan club looked to generate new income to compete with their rivals. Now, in addition to their deal with kit supplier Nike, who pay them in excess of $100m per year depending on performance, they also have agreements with Rakuten and Beko. Japanese e-commerce company Rakuten replaced Qatar Airways as the club’s principal shirt sponsor and partner last year and pay more than $60m annually for that privilege. Beko, meanwhile, a white goods retailer from Turkey, pay over $20m per year to appear on the sleeve of the club’s shirt and the front of their training kit. Barca and Madrid are the only Spanish teams to feature in Forbes’ list, which is dominated by Premier League clubs. Chelsea ($135m), Arsenal ($94m), Liverpool ($92m), Tottenham Hotspur ($81m) and Manchester City ($78m), in addition to United, all represent the English top flight. Completing the top 10 are Germany champions Bayern Munich ($121m) and French champions Paris Saint-Germain ($100m). 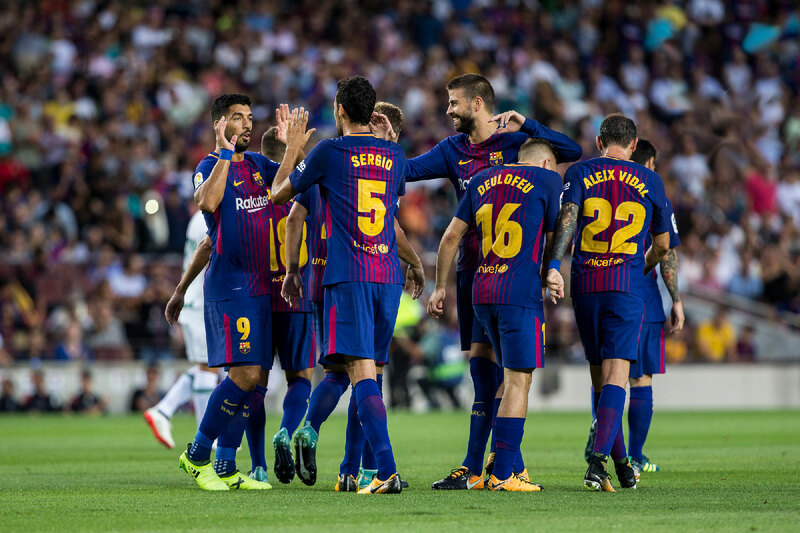 Barca’s position at the top of the market ties in with the increased value of their brand, as revealed by a study carried out by the consultancy firm Brand Finance. They replaced Real Madrid as the strongest brand in football last month, with the top five also featuring United, Bayern and Liverpool.